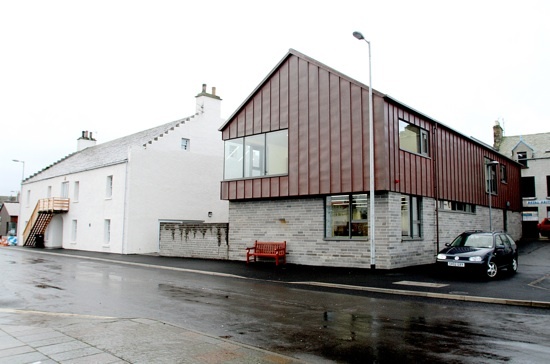 Our friends at the Scottish Poetry Library are also doing an advent calendar on their blog this year. 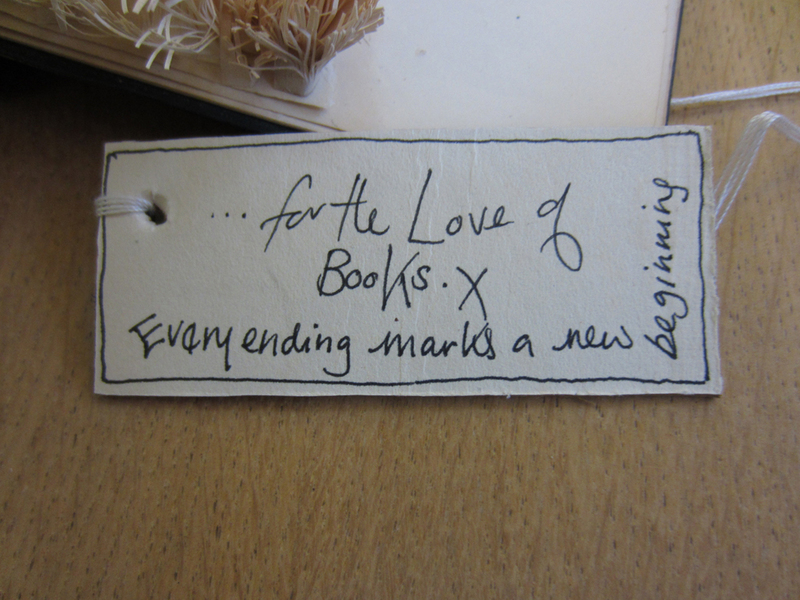 The highlight so far has been the unwrapping of the final gift from the anonymous book sculptor, whose previous works have been on display at the Poetry Library in the Gifted exhibition. You may remember we wrote about the sculptures before, when Ian Rankin was our author of the month, as many of the sculptures had a connection to his work. 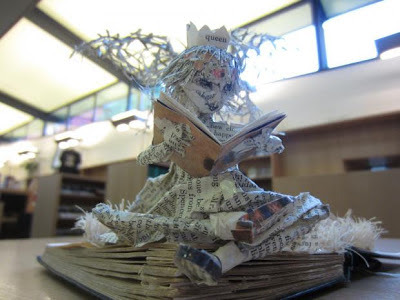 This final sculpture is as intricate and beautiful as the sculptor's previous works. 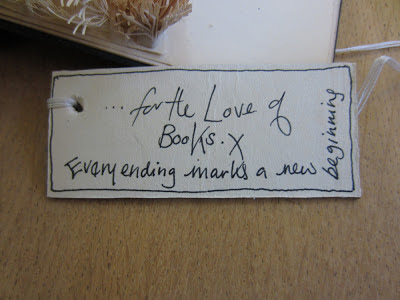 You can see more photos and even a clip of the grand unwrapping on the Scottish Poetry Library's blog , but here is a detail from the work and a mysterious message from the artist, which perhaps suggests there may be more beautiful things to come in the future? !